Dr. Yogen Kanthi is a Cardiologist and Vascular Medicine specialist at the University of Michigan. He completed his residency (2008) and served as Chief Medical Resident (2009) in Internal Medicine at University Hospitals Case Medical Center in Cleveland. 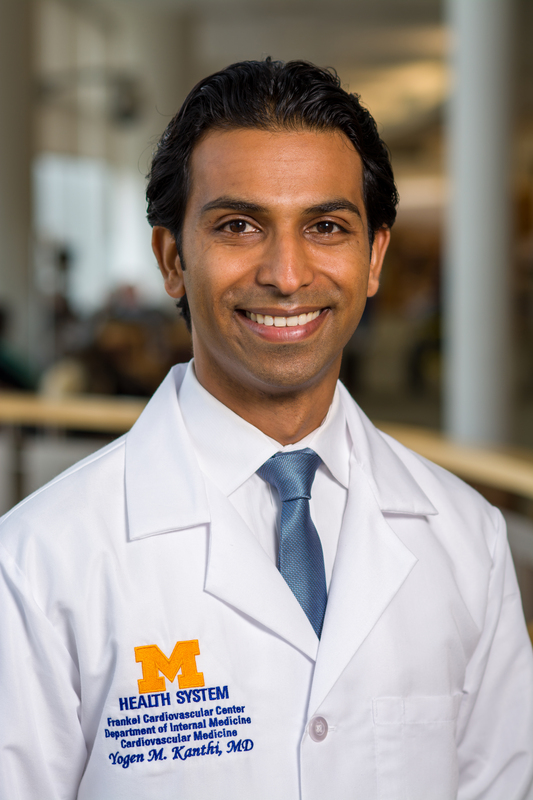 He completed clinical fellowships in Cardiology (2013) and Vascular Medicine (2014) and a research fellowship in vascular biology at the University of Michigan. His areas of clinical interest include peripheral vascular disease, venous thromboembolism, chronic venous disease, general and preventive cardiology, aneurysmal disease, aortic disease and anticoagulation. He has an active translational research laboratory investigating the mechanisms of inflammation and thrombosis in vascular biology.